PNG senior men’s Coach Flemming Serritslev has returned back to Papua New Guinea looking ready to kick start PNG’s preparation for the 2018 FIFA World Cup Russia Qualifiers. With the kick-off for the first match a month away, Papua New Guinea coach Flemming Serritslev wants his players to get the little things right and understand their role in the game. PAPUA New Guinea senior men’s coach Flemming Serritslev has drafted six new players into the squad as they prepare for the OFC Stage 3 of the 2018 FIFA World Cup Russia Qualifiers. 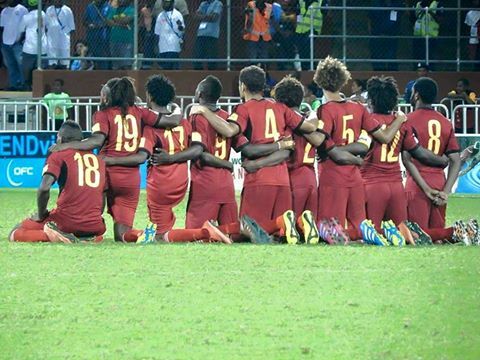 PNG Kapuls will meet Tahiti in the first match on March 23 in Port Moresby. Serritslev said the new players are Samuel Kini, Emmanuel Airem, Greg Togubai, Sammy Campbell, Stahl Gubag and Kolu Kepo. He said he has included the new players to give them an opportunity to train with the squad and hopefully make it through. The coach recommended two U20 players, Greg Togubai and Stahl Gubag after spotting them during the OFC U20 Championships in Vanuatu last year. Serritslev will expectall players to be in Port Moresby by Wednesday 25 January for the first two-week camp. He said due to the first camp is outside of the FIFA window period, the overseas based players are not included. The second camp will be at the end of February, where the team will be finalised.PNG have been pooled in Group B alongside heavyweights Solomon Islands and Tahiti. The winner of this qualifier will take on South America’s fifth-placed team for a place in the 2018 FIFA World Cup, Russia. Train-on squad: Ismael Pole, Greg Togubai, Roland Bala, Jacob Sabua, Emmanuel Airem, Samuel Kini, Philip Steven, Patrick Aisa, Sammy Campbell, Ronald Warisan, Leslie Kalai, Daniel Joe, David Muta, Michael Foster, Stahl Gubag, Emmanuel Simon, Otto Kusunan, Tommy Semmy, KoriakUpaiga and KoluKepo.